The ACE programme provides a holistic programme for a select number of learners from the surrounding community with hopes to improve their intellectual, psycho-social, emotional, physical, and spiritual lives. This year the ACE programme offered structured numeracy and literacy clubs once a week to help improve their confidence and ability in these areas. It also provided life skills building activities as well as one-on-one counselling for selected learners. This year the ACE programme began a year-long Gardening Project where the learners were taught the basic gardening skills and planted, nurtured and harvested several crops. 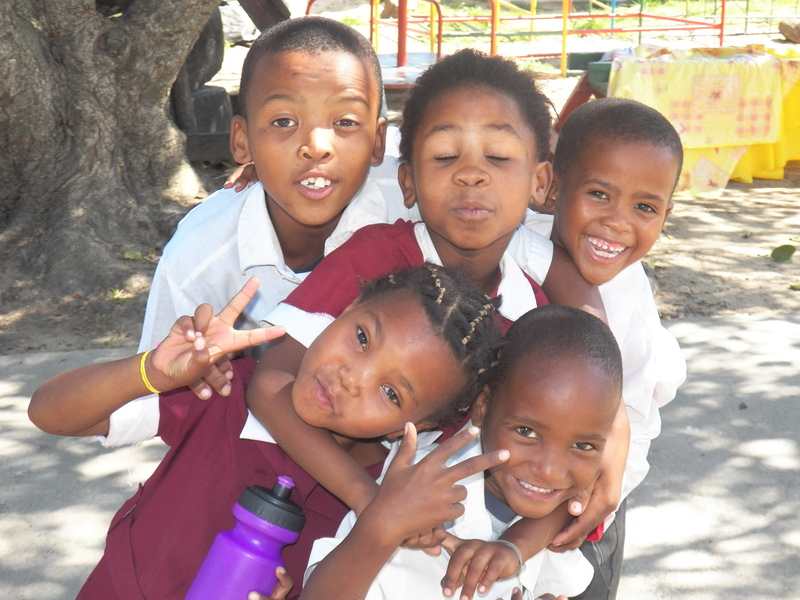 The ACE programme also extended learning opportunities through educational outings in Grahamstown and the surrounding areas like the SciFest, Amakhala Game Reserve and Brass Monkey Farm. The ACE programme has also benefited from several generous donors this year. 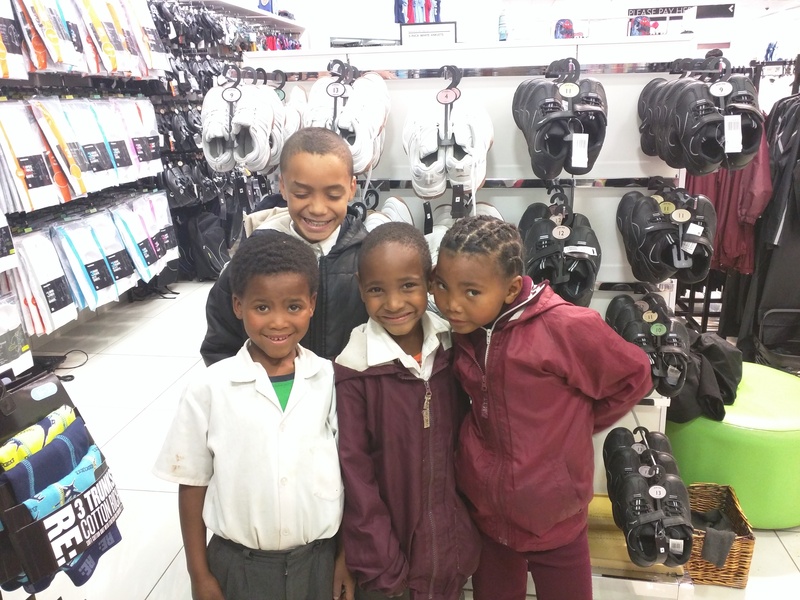 Our international donors from the United States and the Netherlands have sent money for the ACE learners to receive a new pair of school shoes and takkies. Other local donors and community members have blessed the ACE learners with hand woven jerseys, books, stationary, and tin cans throughout the year. A very big thank you to GM Childlife and Kenrich Motors for partnering with the ACE programme and providing funding for the past five years. Thank you to all of our volunteers that have given their time or money to the ACE programme this year: GM Childlife and Kenrich Motors; Victorious Living Church (Dacula, Georgia); Meg and Betty Hartzenberg; Isabelle Schweyer (Kingswood College); Jessica Cockburn; Sharli Paphitis and Creative Learning (Rhodes University); Maqhawe Mango; Rhodes University Counselling Center. In 2016 we reached 137 Foundation Phase children at four schools with a weekly programme of one-on-one interaction around their literacy development. We also held Parent Information Sessions and handed out Game Packs as resources to use in the home. At the end of the year, each child received a gift pack consisting of a reading book, a writing book and stationery, as well as a “little library” (a jelly box covered and filled with 8 little folded books). This donation was made possible largely through the fundraising efforts of Pro Carmine, a local choir. 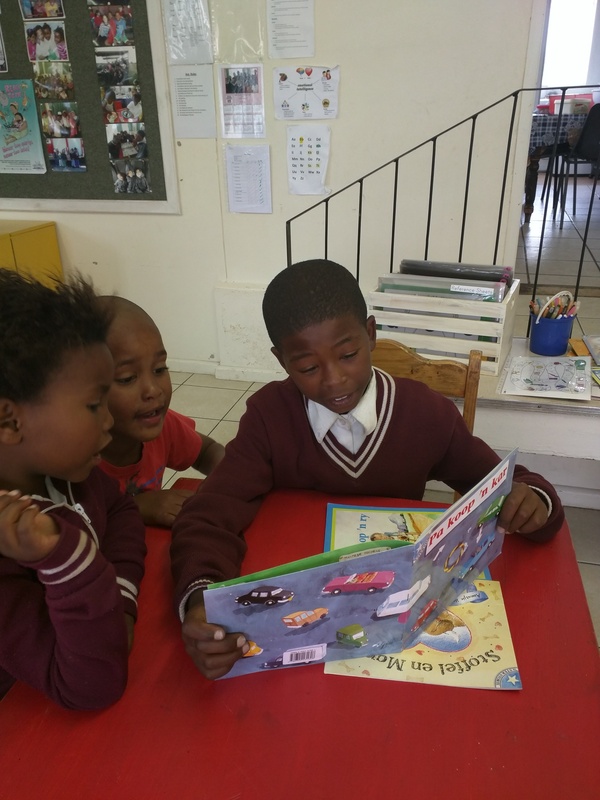 Funding from the Vestas Empowerment Trust enabled us to further support the Project Read efforts by equipping seven Grade 2 classes with books to the value of R5 000 each. These will be utilised to create special book corners in each classroom. Teachers were trained on how to integrate the classroom libraries into their teaching and daily routine. Nal’ibali Reading for Enjoyment clubs were run at three schools and five Aftercare Centres every week throughout the year. An average of 15 to 20 children attended each club, mostly learners from the Intermediate Phase. Club members each received a Nal’ibali newspaper supplement with two cut-and-fold stories to take home on a regular basis. The LLP also helped to facilitate a FunDa Leader training for parents, teachers and community people to become literacy activists in their areas. A six-week series of workshops was held for Foundation Phase parents at three schools, namely Good Shepherd Primary, St Mary’s Primary and Samuel Ntsiko Primary. The workshops were focused on equipping and empowering parents to understand their children’s educational development and provide informal support at home. A total of 50 parents attended these hands-on, practical workshops, and reported it making a big difference to their relationship with their children and their learning. 16 workshops held over a period of six months at two community-based clinics for a total of 57 participants, all mothers of babies and young children, to raise awareness of early literacy and provide resources. Material used mainly from the Every Word Counts programme (Wordworks), with books from the Little Hands Trust. Ten Moms & Tots interactive sessions were held (on average twice a month) at the Lebone Centre, with four mother and child pairings. These involved structured play stations for the children, with their mothers – a musical station, puzzles and construction station, a cosy book corner, a fantasy area, a drawing in and colouring station, and a Playdoh area. Because there were only four pairings attending on a regular basis, Occupational Therapy activities were also included, as well as short information sessions for the mothers and a joint story time. Three sessions were also held at a township clinic, in order to target a different group of mothers. About eight or nine mothers attended. 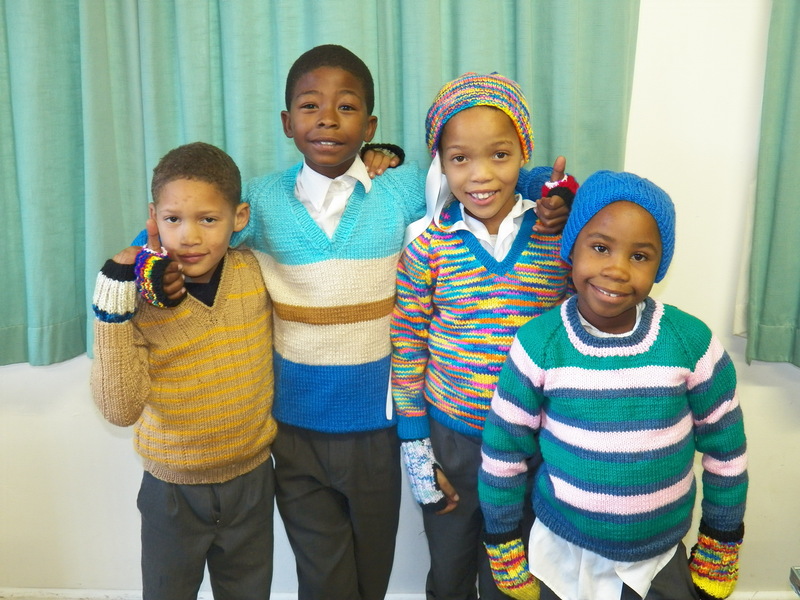 14 outreach sessions were held at the Lebone Centre, involving four under-resourced preschools and 139 children. These consisted of multi-lingual, interactive story sessions, enhanced by props, puppet shows and dramatization of the stories. After each story, the children were given a story-related activity to complete, and time to browse through the books on display. We started a mobile toy library where each mother from the Moms&Tots sessions had a turn to have the toys at their home, with the other moms making appointments for their children to go on a play date at that home. Practitioners from one of the outreach preschools, attended a series of 5 workshops on Emotional Intelligence that was presented at the Lebone Centre. Each child participating in the Preschool Outreach sessions received two storybooks to take home, mobilised from the Bookdash initiative. The Lebone Centre invites four different Early Childhood Development sites to enjoy interactive story times. This has been a fantastic experience for all the children, and they look forward to their visit. 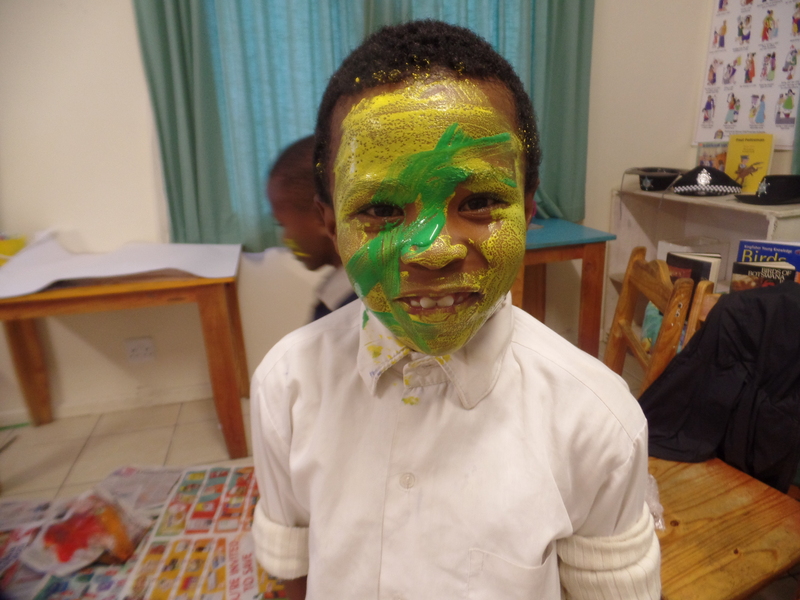 Once a term we invite four different ECD pre-schools to the Lebone Centre in our continued efforts to make a difference in the surrounding community. The ECD Practitioners from our Little Red Dragon Preschool and the ECD Co-ordinator tell interactive stories or make use of puppet shows to entertain and inspire the visiting ECD centres. The stories are told in English, Afrikaans and isiXhosa to ensure that all the children understand and can participate in chanting choruses or repetitive verses/phrases. When we did Goldilocks and the Three Bears the children were enthralled – the expression on their faces was priceless! They even mimicked our facial expressions and the emotions that we were portraying. This really opens up a whole new world for them and ignites their imagination, broadens their vocabulary threefold and sparks their love for stories and books. After the story, the children do story-related activities and get a chance to browse through the exciting books in our Shine Box library.